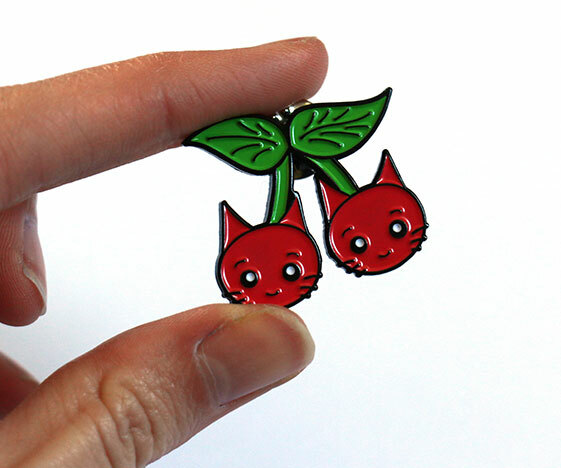 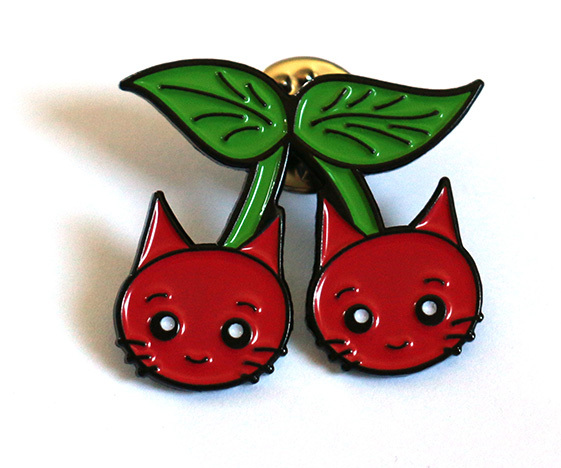 Cute cherry cats enamel pin badge. 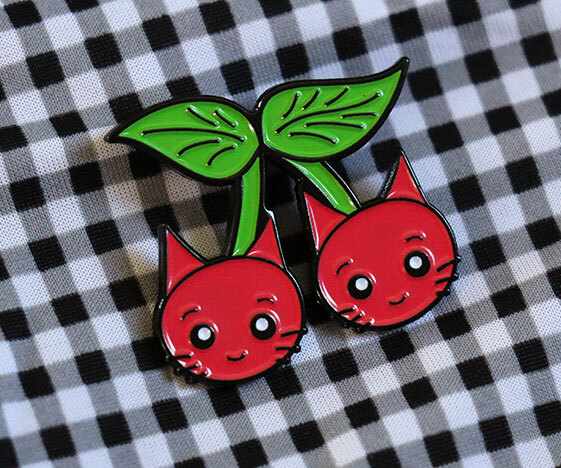 Adorable cat cherries in rockabilly style. 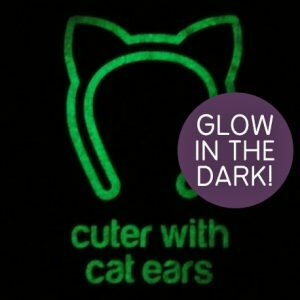 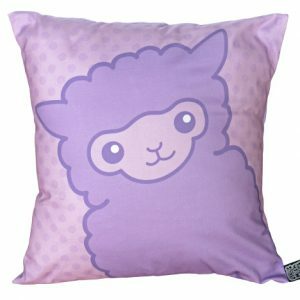 Perfect gift for anyone who loves cats! 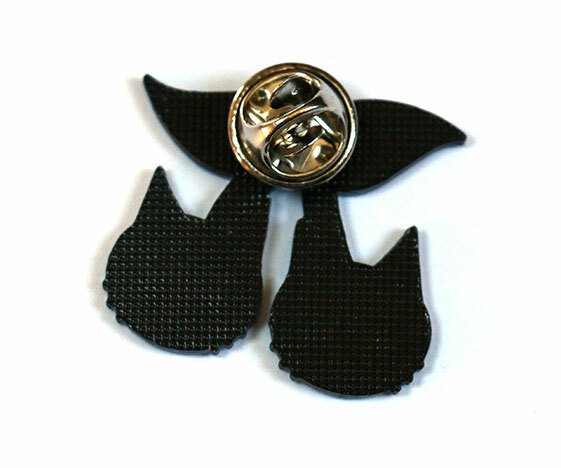 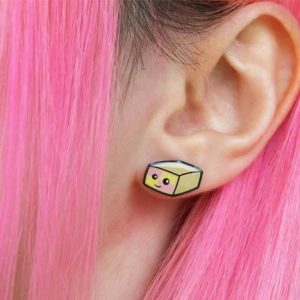 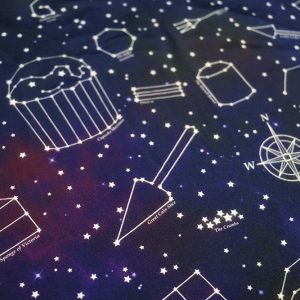 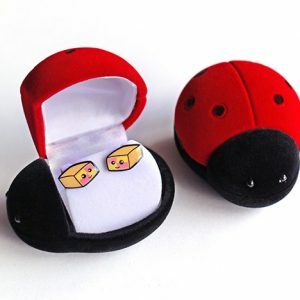 Button pin back attaches easily to clothing or fabric for cute pin flair. 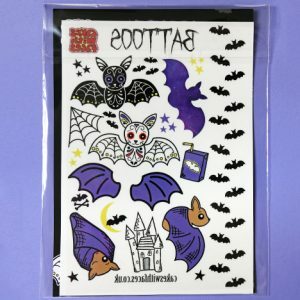 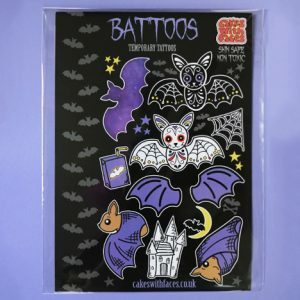 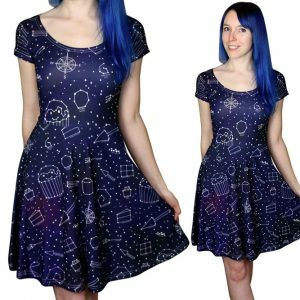 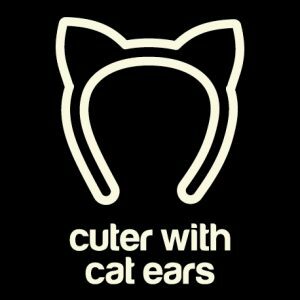 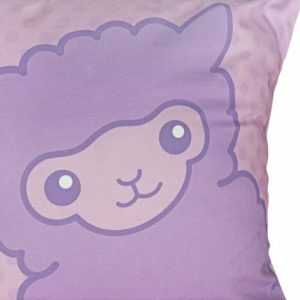 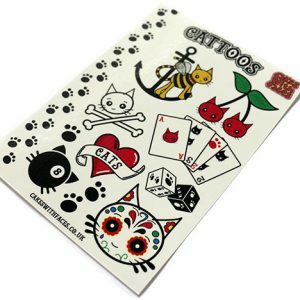 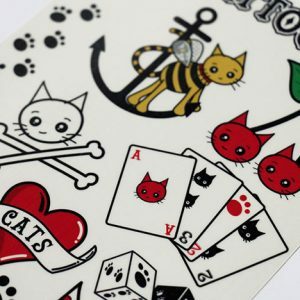 You might also like our Cattoos – temporary tattoos with cat designs! 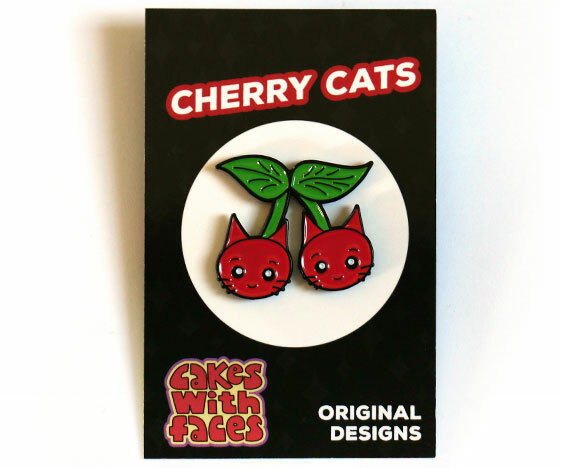 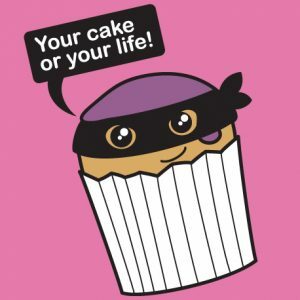 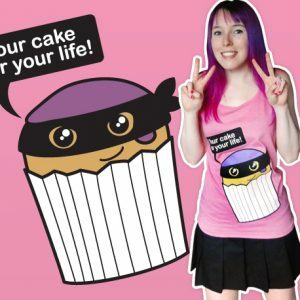 Original pin design only at Cakes with Faces.